• 16 people like this. Do you like this? 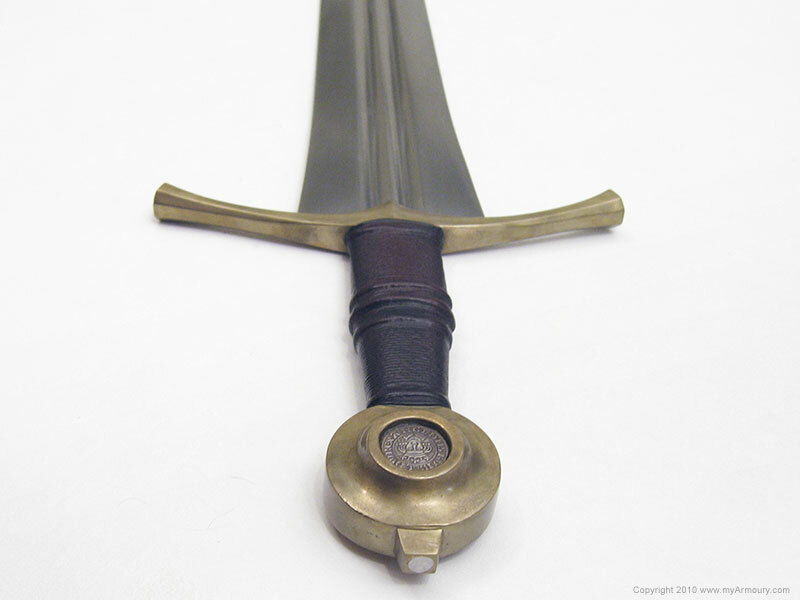 Type XIV swords like Albion's Sovereign were often seen in art and as part of military effigies. 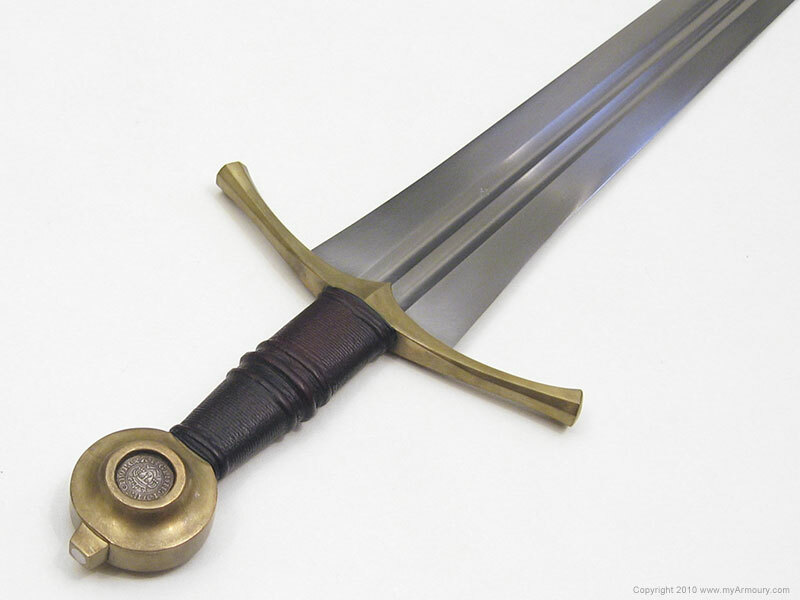 These swords have wide, acutely tapering blades which give added thrusting ability without detracting from the cutting efficiency of the blade. 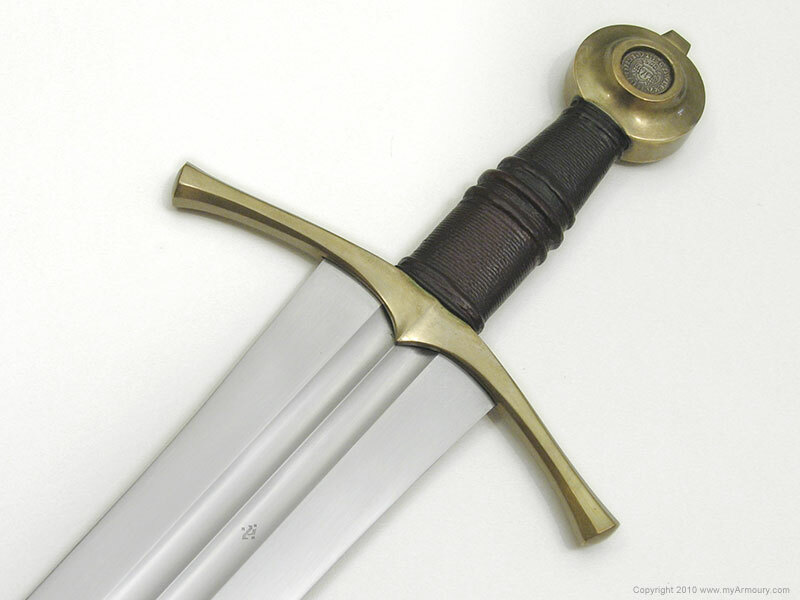 The pinnacle of this type's popularity was between 1270 and 1340. 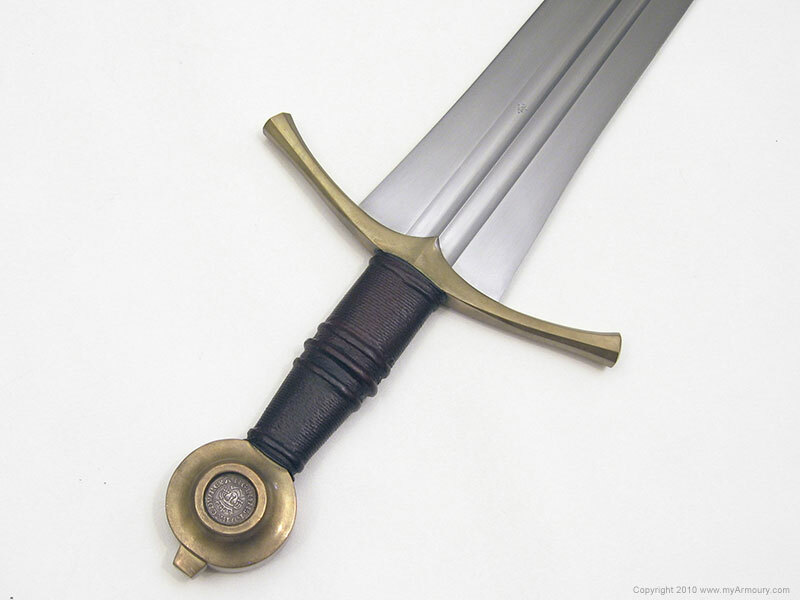 The Sovereign sports a blade of 1075 steel, Albion's steel of choice. 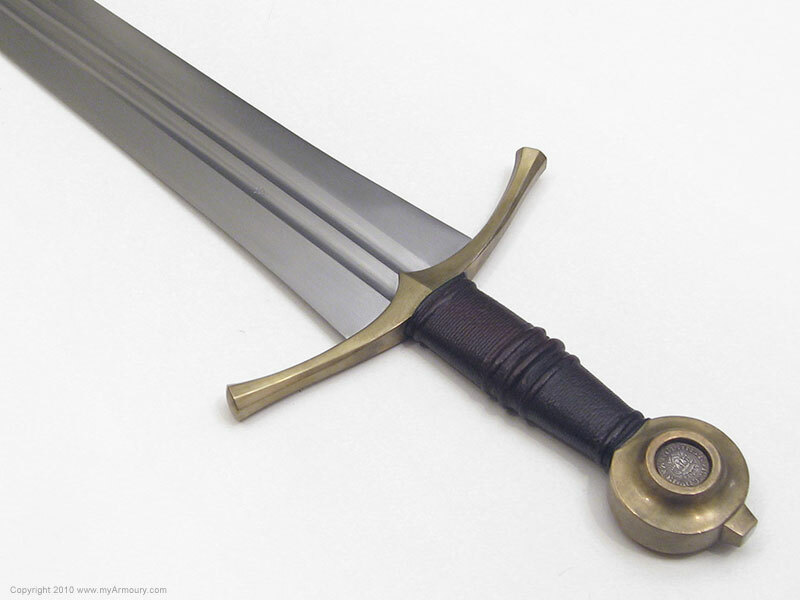 Twin fullers extend roughly 2/3 of the way down the blade. 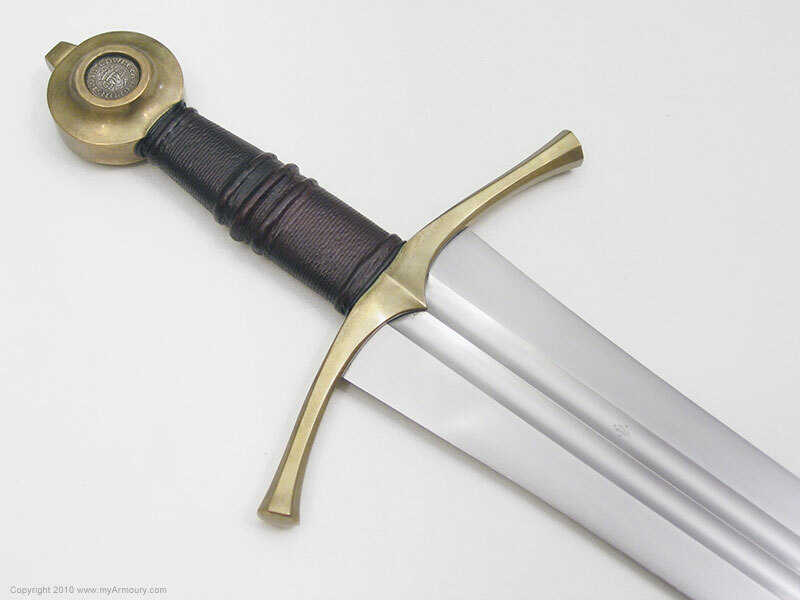 The cross is cusped at its center and curves gracefully down toward the blade. It is octagonal in cross-section and thins slightly between the center and the tip on each side. This sword has a bronze pommel and guard, while the stock model comes with a steel guard and the choice of steel or bronze for the pommel. 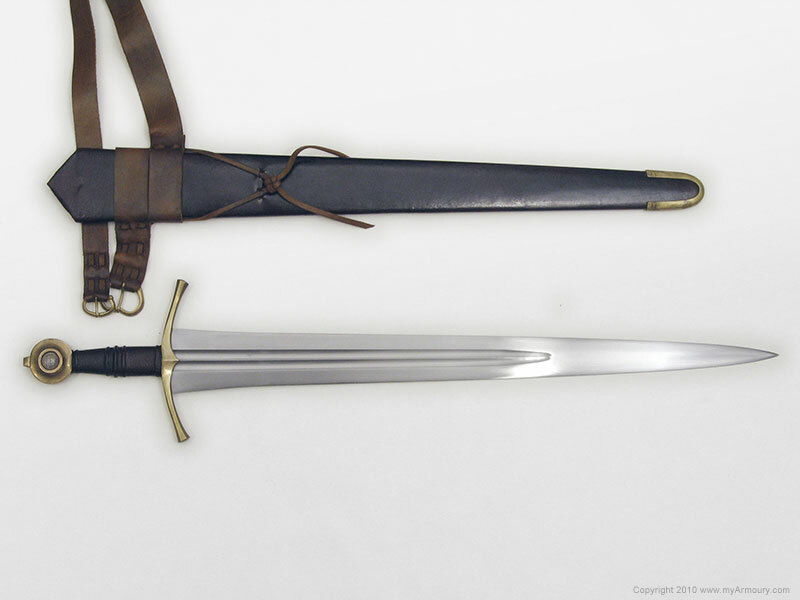 The grip is stabilized birch, wrapped with cord and oxblood-colored (in this case, almost brown) calfskin. 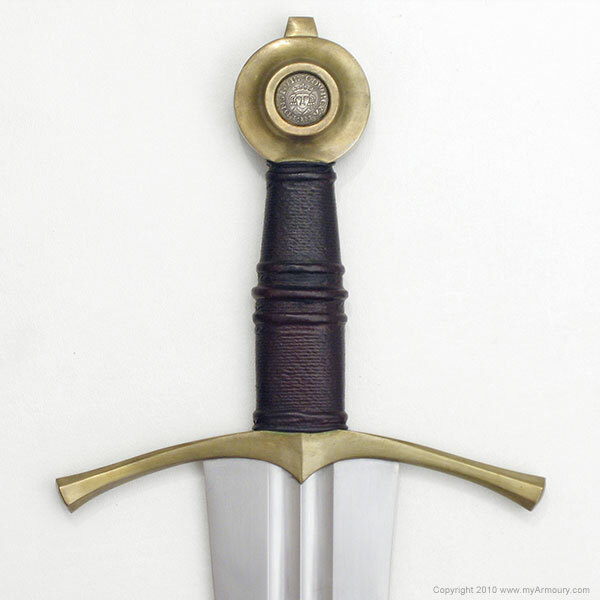 The pommel of this sword has been customized with the addition of two silver replicas of English coins dated to the first half of the 14th century. 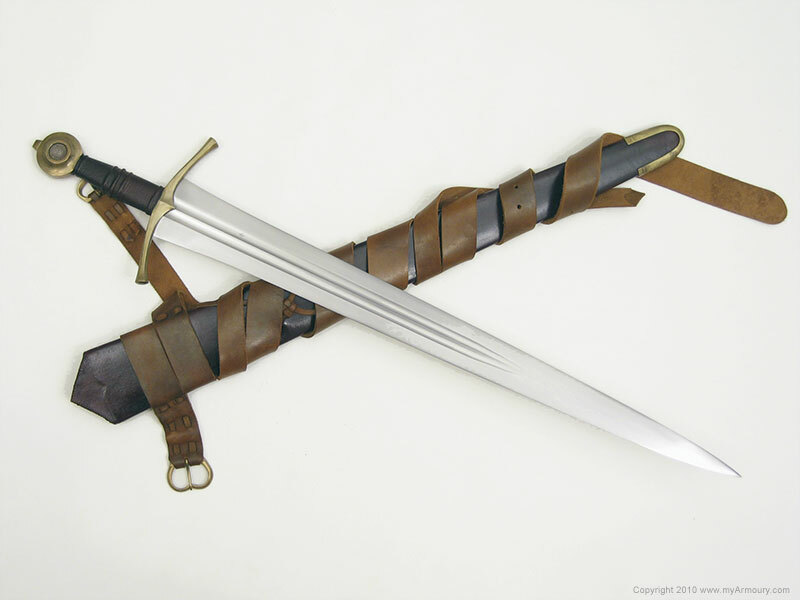 It also has a custom scabbard by Kevin Iseli and Aaron Schnatterly, both formerly employed at Albion. Aaron made the wood core and covered it with leather. 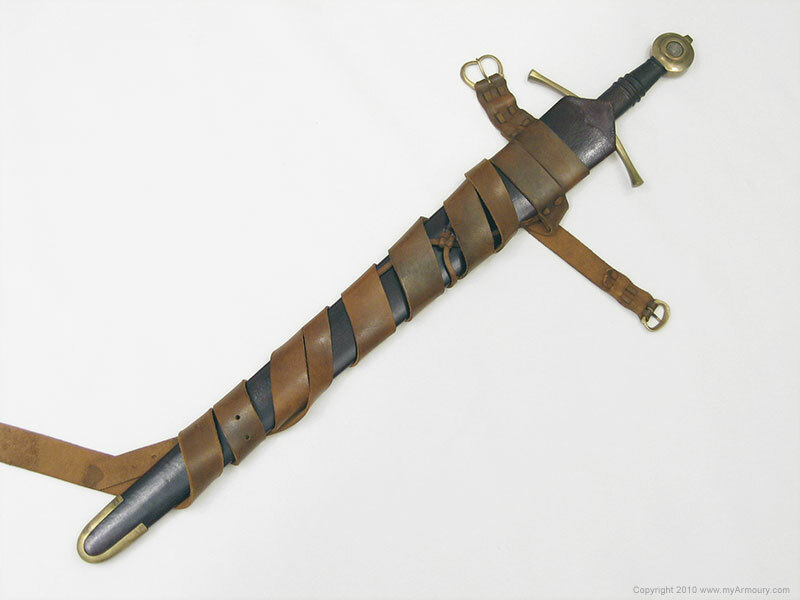 Kevin made the chape and integral belt suspension based on an effigy dated to circa 1320. 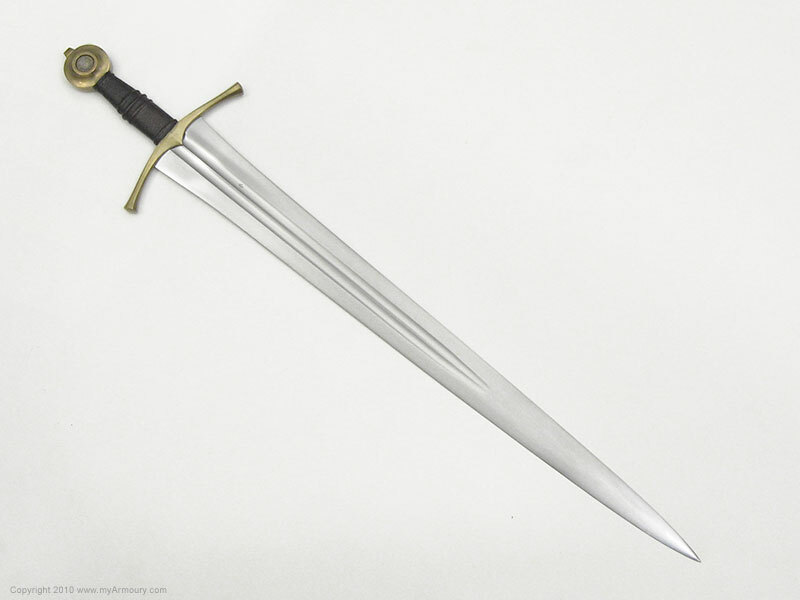 Blade: 28" long; 3" wide tapering to 1"